Model and entrepreneur Jessica Minh Anh has taken fashion to a new level. 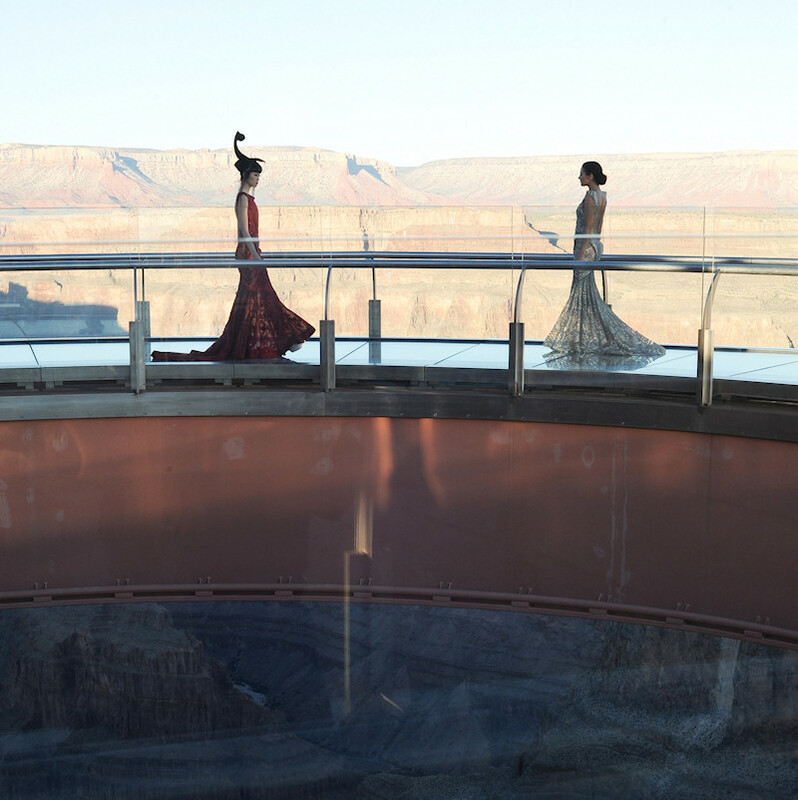 Her latest endeavor: a breathtaking fashion show at 4,770 feet above the sea level on the Grand Canyon Skywalk. Jessica Minh Anh on the Grand Canyon wearing a couture dress by Polina Raudson. Hi, I am following Jessica Minh Anh for some time now and maybe you remember me covering her extraordinary show on the Costa Atlantica. Jessica, who already turned the London Tower Bridge and the Petronas Towers into a catwalk, set another record with respect to height by hosting an iconic fashion show on the breathtaking Grand Canyon Skywalk on November 1st 2013. 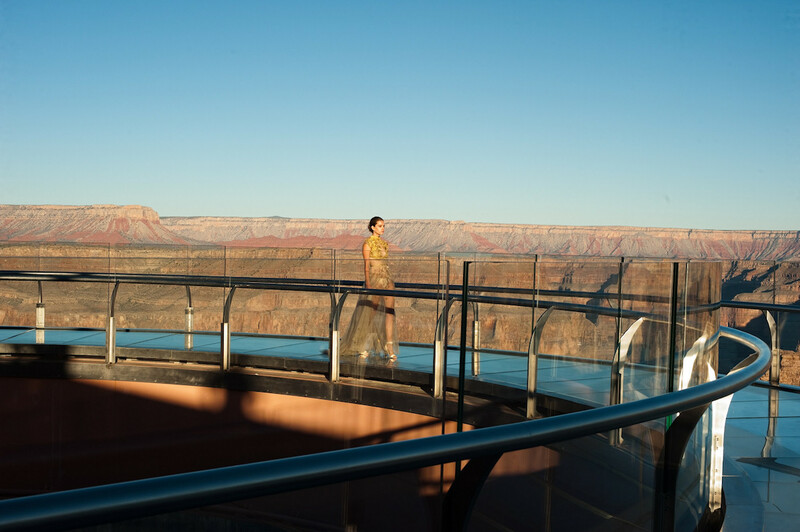 The J Autumn Fashion Show on the Grand Canyon was not only the highest but also featured haute couture high profile collections from three continents. "We worked day and night from both Europe and America to ensure timely responses to press and clients in 40 countries. It was a huge responsibility and I’m thrilled that we made it." said Jessica. Congrats! After floating on water and catwalking in the sky, one might wonder what Jessica will do next? Jessica Minh Anh: Fashion Ahoy!